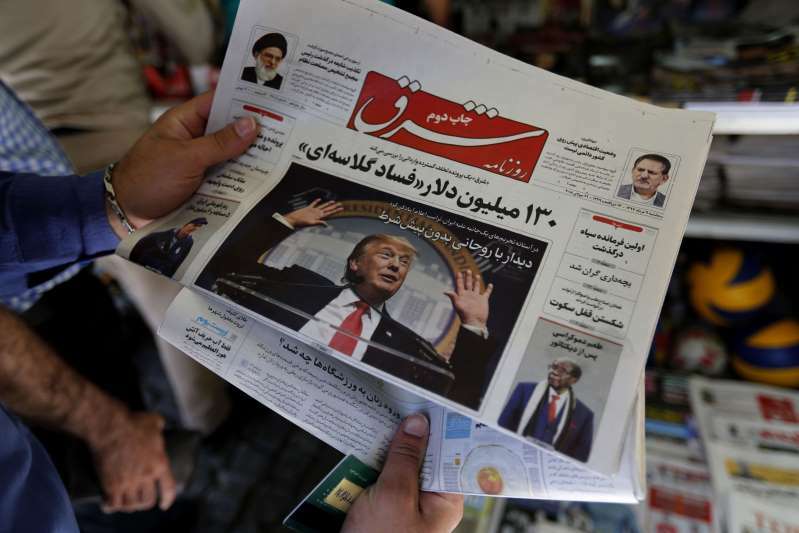 Trump administration officials say the sanctions are being restored starting Monday in an effort to change the Iranian regime's behavior. "They're the world's largest state sponsor of terror," Secretary of State Mike Pompeo told Indonesian television in an interview Sunday. "That's what America is trying to get Iran to stop doing. That's the behavioral change that we're looking for from the Iranian regime." [post_ads]But many U.S. allies believe that language is code for regime change, according to two European diplomats involved in negotiations with the Trump administration over how sanctions would be re-imposed. The problem is: What next?" one of the European diplomats said, referring to concerns that the U.S. is eyeing regime change as the sanctions' end goal. Both diplomats spoke on condition of anonymity, as they were not authorized to brief the media on ongoing negotiations. "Iran will be forced to make a choice: either fight to keep its economy off life support at home or keep squandering precious wealth on fights abroad. It will not have the resources to do both," he said in May.